When it comes to the world of Chromebooks, these happen to be worthy educational tools, although it can be pretty difficult to have Third World countries have the budget for such a high tech classroom, as in some of the more rural areas, it is difficult enough to obtain clean, drinking water, hence to have a Chromebook is definitely out of the question. 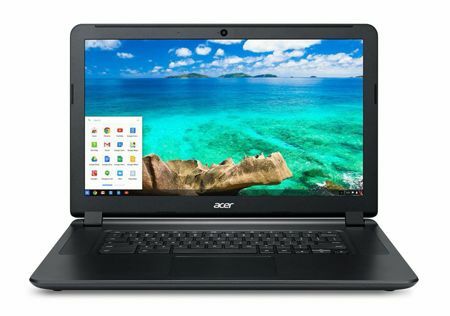 For educational environments that allow this, however, there will be two more new options to choose from – the Acer Chromebook C910 and the Acer Chromebook C740, which will be 15.” and 11.6” models, respectively. Regardless of which particular model you decide to pick up, they are definitely worth checking out. After all, being used in a student’s environment does have its fair share of risks – since students can be rather boisterous in their interaction with one another, and hence, these two Chromebooks will feature shells that are capable of withstanding up to 132 pounds of force. Not only that, the corners will be able to handle falls from up to 18 inches high, while the presence of reinforced hinges will ensure that they are far less fragile than an ordinary notebook, meaning it will not snap easily. The Chromebook C740 even gets specially extended hinges so that it will not flop or twist should it end up in potentially high-stress situations, like a student’s backpack for example. Underneath the hood, you will find the option of Intel Broadwell-based Celeron or Core i3 processors, where it will arrive in either 2GB RAM or 4GB RAM configurations. Most of your money would go to the display and storage, with the Chromebook C740 sporting a 1,366 x 768 display, a 16GB SSD and a 9-hour battery at $260. The $279 Chromebook C910 would feature a larger LCD display, and a 8-hour battery, albeit sporting double the storage space at 32GB with a Full HD display. Expect both Chrome OS models to arrive next month.